Known for www.speech-language-therapy.com and her interest in Children’s Speech Sound Disorders, Dr Caroline Bowen practiced in Australia as a clinical speech-language pathologist for over 40 years, and for the 10 years from 2005 to 2014 travelled worldwide to present CPD events to SLPs/SLTs. Using her 70th birthday in December 2014 as a sign to slow down and reduce her workload, she now offers five "customisable" child speech CPD events, and a new (in 2019) event based on this book, which she will consider presenting anywhere in the world. She is a Member of the Order of Australia (AM), and has on-going appointments as an Honorary Associate in Linguistics at Macquarie University in Australia and as an Honorary Research Fellow in Speech-Language Pathology at the University of KwaZulu-Natal in South Africa. In considering hosting, please choose events from the 2015-2019 list of six below, and not from the events that were available in 2014. The 2014 CPD offerings remain on this page for two reasons. First, 'for the record', and secondly for purposes of comparison, so that hosts and participants do not inadvertently sign up for events that are similar to ones they have already hosted or attended. 'SSD101: Introduction to Speech Sound Disorders in Children' (2015_01bowen) can be run as a 1-day or 2-day or 3-day event, or as a short course. Bowen (2015) is a book that covers all aspects of Children’s Speech Sound Disorders (SSD) from ‘the basics’ to the non-so-basic. This introductory CPD event focuses primarily on ‘the basics’ with reference to the book. It is designed for experienced and novice SLPs/SLTs and SLP/SLT Students seeking an uncomplicated overview of the classification, assessment, differential diagnosis, treatment target selection, and intervention for articulation and phonological disorders and childhood apraxia of speech (developmental verbal dyspraxia). It is also suitable as a refresher for SLPs/SLTs re-entering the profession, those making the switch from ‘adult’ to ‘child’ work, and those who feel rusty in relation to the connections between theory, evidence and practice. Assuming little prior knowledge of the peer-reviewed literature on phonological principles, complexity principles, principles of motor learning, and key developments in the last 10 to 15 years in child speech assessment and intervention, it is aptly dubbed SSD101. Bowen, C. (2015). Children's Speech Sound Disorders (2nd ed). Oxford, Wiley-Blackwell. Please note that Bowen (2015) is not ‘required’ reading for this event, but that page numbers in it will be cited in the presentation. A 1-page pdf containing the Outline and Objectives for 2015_01bowen is linked above. 'The Assessment and Treatment of Children with Phonological Impairment' (2015_02bowen) is a 1-day CPD offering. It is designed for experienced through to novice Speech-Language Pathologists / Speech and Language Therapists, and SLP/SLT Students. It is also suitable as a refresher for SLPs/SLTs re-entering the profession, those making the switch from ‘adult’ to ‘child’ work, and those who feel rusty in relation to the connections between phonological theory, evidence and practice. The range of evidence-based and/or theoretically sound intervention approaches SLPs/SLTs employ to work with children with SSD is extensive. They include: Auditory Input Therapy / Naturalistic Intervention, Core Vocabulary Therapy, the Cycles Phonological Patterns Approach, Dynamic Temporal and Tactile Cueing (DTTC), Imagery Therapy, Integral Stimulation, Metaphon, Parents and Children Together (PACT), Perceptually based intervention, Phoneme Awareness Intervention, Phonemic Intervention including four minimal pair approaches, Phonetic Intervention / Articulation Therapy, Psycholinguistic Intervention, Rapid Syllable Transition Training (ReST), Stimulability Therapy, The Multisensory Approach, The Nuffield Centre Dyspraxia Programme, and Vowel Remediation. These intervention approaches are described in detail in Bowen (2015). There are too many to cover in detail in one, or even two days, so Dr Bowen will work with hosts to choose their preferred interventions to meet the learning needs of participants, along with the assessment procedures and target selection strategies that are congruent with the chosen intervention approaches. Interventions for Childhood Apraxia of Speech (CAS) / Developmental Verbal Dyspraxia (DVD) are not included in this 1-day event on children with phonological impairment. The interventions for CAS/DVD are: Dynamic Temporal and Tactile Cueing (DTTC), Rapid Syllable Transition Training (ReST), The Multisensory Approach and The Nuffield Centre Dyspraxia Programme. They are covered in 2015_03bowen, and can also be included in 2015_05bowen if requested by hosts. A 1-page pdf containing the Outline and Objectives for 2015_02bowen is linked above. 'The Assessment and Treatment of Childhood Apraxia of Speech' (2015_03bowen) is an updated and expanded version of CPD1D-03 (see below), which was presented 17 times nationally in Australia and internationally, between 2012 and 2014. This new version can be run as a 1-day event, or as a more interactive, in-depth, slower-paced 2-day event. The focus of the day, or days, is Childhood Apraxia of Speech (called Developmental Verbal Dyspraxia in the UK and defined somewhat differently from CAS), covering Classification, Assessment, Treatment Principles, Target Selection, Treatment Approaches, and practical intervention techniques and strategies. This CPD offering has been designed with experienced through to novice clinical Speech-Language Pathologists/Speech and Language Therapists, SLP/SLT Clinical Educators and Instructors, and SLP/SLT Students in mind. A 1-page pdf containing the Outline and Objectives for 2015_03bowen is linked above. 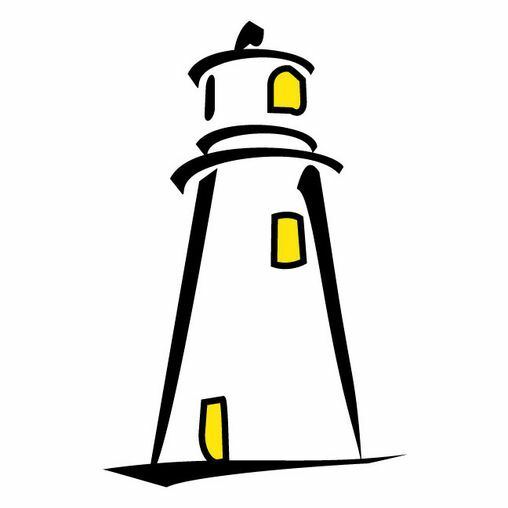 The links and resources for 2015_04bowen are on the 'Lighthouse Page'. A 1-page pdf containing the Outline and Objectives for 2015_04bowen is linked above. 'Evidence-Based Intervention for Children with Speech Sound Disorders' (2015_05bowen) can be run as a 1-day or 2-day event and is designed for experienced through to novice Speech-Language Pathologists / Speech and Language Therapists, and SLP/SLT Students. These approaches are described in detail in Bowen (2015). There are too many to cover in detail in one, or even two days, so Dr Bowen will work with hosts to choose their preferred interventions to meet the learning needs of participants, along with the assessment procedures and target selection strategies that are congruent with the chosen intervention approaches. A 1-page pdf containing the Outline and Objectives for 2015_05bowen is linked above. Details will be available in November 2019. All one, two and three day events are based on 375 minutes of presentation time per day, but there is a 360 minute option (Timetable 3, below). The timetables are open to negotiation. Please let the presenter know well in advance which you prefer, and also whether you wish to alter in any way the one you have chosen. Note that the lunch break cannot be less than 45 minutes. Format Lecture with question time. This presentation is suitable as a keynote address. Topic Discover strategies for optimising treatment outcomes by using 16 therapy target selection approaches with children with Speech Sound Disorders. Be inspired! Participants Experienced through to novice Speech-Language Pathologists / Speech and Language Therapists; SLP/SLT Students; this event is suitable for SLPs/SLTs re-entering the profession or making the switch from ‘adult’ to ‘child’ work. Presentation The Reasoned Choices: Target Selection and Children’s Speech Sound Disorders one hour talk was presented in York, UK for the Association of Speech and Language Therapists in Private Practice (ASLTIP) annual conference in March 2011, and revised and updated for the IASLT Biennial Conference in Dublin Ireland in April 2013, and revised and updated again for the Communicating Together Research Symposium in Newcastle NSW Australia in December 2013. Format Lecture with question time.This presentation is suitable as a keynote address. Topic This is a lecture for the professionals who refer children for speech therapy help. It covers the nuts and bolts of screening children as possible candidates for speech pathology (speech therapy) assessment. The presentation covers the range of communication disorders in children, with an emphasis on late talkers, and children with speech sound disorders (SSDs) and difficult-to-understand speech. Participants Professional groups including Audiologists, Medical Practitioners, Teachers and Psychologists as well as interested Speech-Language Pathologists / Speech and Language Therapists. Presentation The ‘Red Flags for Speech Impairment’ one hour talk was presented at the New Zealand for the New Zealand Audiological Society conference in Blenheim NZ in July 2010, and at the UKZN Children's Hospital in Durban South Africa in July 2014. Outline/Objectives The outline of this talk, with learner objectives is available on request. Ask for CPDT-02. Potential hosts, please describe the proposed audience so that the outline and objectives can be tailored to the needs of your participants. Format Lecture with opportunities for questions and discussion. Topic Speech Pathology terminology has undergone significant changes in recent years, and unfortunately, many terms are used ambiguously. This engaging talk provides a plain English introduction to speech-language pathology terminology. The emphasis is on the terms speech pathologists use in relation to assessment and treatment, and the terms that often occur in case discussion and reports. Participants Professional groups including Audiologists, Medical Practitioners, Teachers, Psychologists; Parents and other family members of children with communication disorders; and prospective speech-language pathology students. Interested Speech-Language Pathologists/Speech and Language Therapists may enjoy this as an ‘update’. Outline/Objectives The outline of this talk with learner objectives is available on request. Ask for CPDT-03. Potential hosts, please describe the proposed audience so that the outline and objectives can be tailored to the needs of your participants. Format Study Day with opportunities for questions and discussion. Pease also note CPD2D-06 below. Topic There are many theoretically sound and evidence-based interventions available to the Speech-Language Pathologist working with children with Speech Sound Disorders, but not all interventions suit every child. This 1-day workshop covers the 'what', ‘who’, ‘why’, ‘when’ and ‘how’ of interventions for children's speech sound disorders. The emphasis is on the practical implementation of a range of treatment approaches. Potential Hosts Please describe your proposed audience so that the outline and objectives can be tailored to the needs of your participants. For example, some hosts want a general overview of many interventions for speech sound disorders, some want interventions only for phonological disorders, others want a 50-50 split between interventions for phonological disorder and interventions for CAS, and so forth. Presentation This study day was presented in Harrow, UK in July 2011, and Ealing UK in October 2014. Format Study Day with opportunities for questions and discussion. Please also note CPD2D-06 below. Topic Learners will consider ways of optimising treatment outcomes via the use of 16 therapy target selection approaches with children with Speech Sound Disorders. As well they will learn how to apply non-linear principles in intervention for syllable structure errors, explore a range of facilitative contexts and examine some practical 'therapy facts and tricks'! Presentations This study day was presented in Wandsworth UK in July 2011, City University, London in July 2011, Brisbane Queensland in March 2012, Singapore in September 2012, Vancouver Canada in October 2012, City University London in April 2013, Birmingham City University in May 2013, Exeter UK in May 2013, Brisbane Queensland in July 2013, Melbourne Victoria (twice) in August 2013, Derby UK in June 2014, Bloomsbury UK in June 2014, Durban South Africa in July 2014, Tamworth Australia in September 2014, Billingshurst UK in Octoberber 2014, and Melbourne Victoria in October 2014. Format Study day with opportunities for questions and discussion. Topic Classification, description, assessment, diagnosis and treatment of Childhood Apraxia Speech (‘developmental verbal dyspraxia’). Presentation This study day was presented in Durban South Africa in May 2012, Singapore in September 2012, Vancouver Canada in October 2012, Melbourne Australia (twice) in August 2013, Sydney Australia in September 2013, Perth Westen Australia in April 2014, Birmingham UK in June 2014, Exeter UK in June 2014, Cape Town South Africa in August 2014, Sydney Australia in August 2014, Townsville Queensland in September 2014, Brisbane Queensland in September 2014, Tamworth Australia in September 2014, Bloomsbury UK in September 2014, Camden UK in October 2014, and Melbourne Australia in October 2014. Topic Parents and Children Together (PACT) is a broad-based approach to phonological therapy, developed and tested in Australia by Dr Caroline Bowen. This one-day event covers all aspects of implementing the approach with unintelligible or poorly intelligible children aged 3 to 6, and older children with cognitive challenges. Presentation This study day was presented in Durban South Africa in May 2012, Singapore in September 2012, and Melbourne Australia (twice) in April 2014. Format Two-day workshop with opportunities for questions and discussion. Topic Classification, description, screening, assessment, differential diagnosis, treatment target selection, and above all, treatment of speech sound disorders in children. Presentations The Speech Sound Disorders: the Basics and Beyond II event has been presented many times, as follows. Newcastle Australia in November 2010, Auckland New Zealand in July 2010, Kuala Lumpur Malaysia in November 2010, York UK in March 2011, Ashford UK in March 2011, Limerick Ireland in March 2011, Great Ormond Street Hospital UK March 2011, Singapore in May 2011, Manila Philippines in June 2011, Canberra Australia in October 2011, Brisbane Australia in November 2011, Albury NSW in March 2012, Campbelltown (Sydney) in January 2013, Perth Western Australia in April 2014, and Toowoomba Queensland in September 2014. Its forerunner Speech Sound Disorders: the Basics and Beyond I was presented as a 2-day event in Vancouver Canada in January 2009, Honolulu USA in April 2009, and Hong Kong in May 2009. It was presented as a 3-day event in Lisbon Portugal in July 2009 (see CPD3D-01 below). Format Two consecutive Study Days with opportunities for questions and discussion. Topic There are many theoretically sound and evidence-based interventions available to the Speech-Language Pathologist working with children with Speech Sound Disorders, but not all interventions suit every child. Day 1 covers the 'what', ‘who’, ‘why’, ‘when’ and ‘how’ of interventions for children's speech sound disorders. The emphasis is on the practical implementation of a range of treatment approaches. On Day 2 learners will consider ways of optimising treatment outcomes via the use of 16 therapy target selection approaches with children with Speech Sound Disorders. As well they will learn how to apply non-linear principles in intervention for syllable structure errors, explore a range of facilitative contexts and examine some practical 'therapy facts and tricks'! Potential Hosts - RE: Day 1, Spoiled for Choice Please describe the proposed audience so that the outline and objectives can be tailored to the needs of your participants. For example, some hosts want a general overview of many interventions for speech sound disorders, some want interventions only for phonological disorders, others want a 50-50 split between interventions for phonological disorder and interventions for CAS, and so forth. Presentation These study days were presented in Durham United Kingdom in July 2011, Perth Western Australia in September 2011, Durban South Africa in May 2012, Adelaide South Australia in February 2013, Melbourne Victoria in March 2013, Belfast UK in April 2013, Cork Ireland in April 2013, London Euston in April 2013, Billingham UK in May 2013, University College London in May 2013, and Werribee (Melbourne) Victoria in June 2013, Auckland New Zealand in February 2014, Camden UK in June 2014, Sydney Australia in August 2014, Belfast UK in September 2014, and Sydney Australia in December 2014. Caroline Bowen AM, PhD, CPSP, ASHA Fellow, Life Member SPA, Hon FRCSLT, is a Speech-Language Pathologist based in the Blue Mountains outside Sydney, Australia. She practiced in Australia as a clinical speech-language pathologist for the 42 years from 1969 to 2011. Since 2005 she has had the privilege and enjoyment of travelling worldwide to present invited Continuing Professional Development (CPD) events in countries as diverse as Australia, Canada, Denmark, Éire, England, Hong Kong, Iceland, Indonesia, Malaysia, New Zealand, Northern Ireland, Norway, the Philippines, Portugal, Scotland, Singapore, South Africa, Turkey and the US. Caroline maintains an active interest in children's speech sound disorders (2015 book), developmental language disorder (DLD) across the lifespan, the role of families in intervention, evidence-based practice vs. pseudoscience (2017 book), empirical research and writing, and presenting CPD events globally.